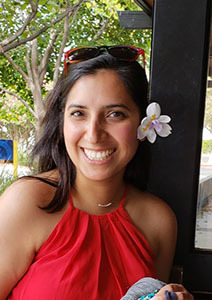 Jaspreet is a microbiologist at California Water Service, the largest investor owned utility west of the Mississippi. She tests drinking water for Total Coliform and E. coli, ensuring public health for more than 20 cities in the state of California. She has a bachelors degree in Molecular biology from San Jose State University, holds a Water Quality Lab Grade 1 Analyst Certificate from AWWA, and a Water Treatment Operator Grade T2 Certificate from the State Water Resources Control Board. She is fluent is Punjabi and Hindi. She loves to volunteer, enjoys the fine arts, dancing and is an avid henna artist.